After a three-year absence, Dan Layus and company return with their third Epic full-length, simply titled Augustana. The album begins with Layus declaring “I’m gonna steal your heart away,” on lead-off single “Steal Your Heart,” which was co-written and produced by former Phantom Planet member Sam Farrar. The San Diego rock band broke through in 2005 with their major label debut All the Stars and Boulevards, which was produced by Brendan O’Brien (Stone Temple Pilots, Train), and included the hit “Boston.” After gaining some musical prominence, Augustana seemed to lose their musical identity, but fortunately found it again and triumphantly return with new focus and clarity on this latest offering. After the slight misstep of their overlooked Can’t Love Can’t Hurt, the band has reclaimed their musical footing and recaptured the spirit evident during their live performances. 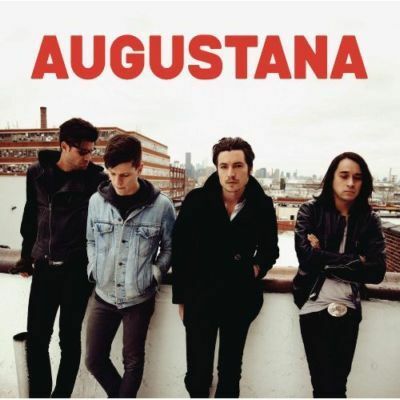 The majority of Augustana’s production duties were helmed by Jacquire King (Kings of Leon), and the collaboration is obviously the inspiration needed for the band to create this addictive and compelling record. Layus’ vocal and songwriting skills continue to evolve and grow stronger. In the Tom Petty-esque tale of lost love “Wrong Side of Love,” he manages to rock and rip out your heart synchronously. “I’m hanging on, I’m hurting/I’m backing down, you’re starting over/You and I we’ve had enough,” Layus cries in a highly corybantic vocal performance that drips with heartbreaking emotion. Although Augustana may not be the year’s most cutting-edged release, it is full of strong, if not extraordinary material, which is sure to leave an indelible impression on admirers of pop/rock. The album is inundated with enough gorgeous melodies, strong hooks, and infectious choruses to satisfy devoted followers, as well as delight new ones.